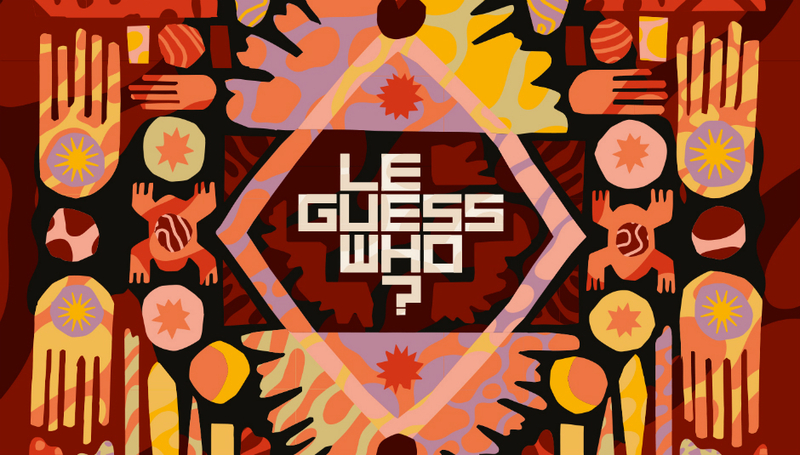 Le Guess Who?, now in its 12th year, just keeps on getting better. What started out as a showcase for Canadian bands - yes, really - has morphed into one of the most diverse, eclectic music events anywhere, and has rightly started to attract some serious international acclaim. We'll be there again this year as Official Media Partners, but instead of simply listing a few of the festival's most interesting artists, we set two Le Guess Who? veterans - our own Jasper Willems and Editor-In-Chief Derek Robertson - the task of debating the curation of the lineup, the festival's overriding philosophy, and where it might be headed in the future. Le Guess Who? 2017 from Joao MB Costa on Vimeo. I must say, every year at the cusp of Le Guess Who?, it’s interesting to split my position as a copywriter for the festival with my own observations as a music scribe. Funnily enough, it’s what got me to write for DiS in the first place. Without wishing to sound biased, I do believe Le Guess Who? gives a faithful cross-section of where music is headed from a global standpoint. It’s a festival in constant motion, always re-adjusting and reevaluating what it could become. Its inaugural 2007 edition focussed solely on Canadian bands, and at first glance, you’d think that’s a far cry from Le Guess Who? in its current incarnation. But, in reality, Le Guess Who?’s inception is still very visible. Canadian-Lebanese composer and producer Radwan Ghazi Moumneh – aka Jerusalem In My Heart – has become an emblematic figure for Le Guess Who?’s eleven-year run: an artist with one foot rooted in the Anglo-European scene of Montreal, another in the Middle East. Both parts are – in their own way – demographically fractured; it makes sense why JIMH diligently utilizes both traditional and contemporary sonics to try and reach a higher level of understanding. It will be remarkable to see perhaps his most ambitious project come to fruition. He enlisted a 15-piece orchestra from Beirut to perform a classical Egyptian piece called ‘Ya Garat Al Wadi’. And by bringing in Sam Shalabi (Land Of Kush, Nadah El Shazly) to help arrange the thing, this should be an exciting alchemy of two different Arabic diasporic experiences. But, to be honest, once all the artists are announced, I always have a tough time wrapping my head around it all. To the point where it becomes refreshing to perceive a relative outsider’s vantage point. So my question is: now that the full line-up is revealed, what stands out for you? Which artists draw your immediate curiosity? The thing that really impresses me about Le Guess Who?, and I’ve been going for five years now, is how the programming melds the contemporary with the legendary, and the popular with the worthy - there truly is something for everyone. So one could choose to see the bright and best of modern indie and alternative music - artists like Jessica Pratt, Cass McCombs, Serpentwithfeet, Blanck Mass, The Breeders, Black Midi - or you could take a deep dive with more esoteric artists and really explore the outer limits of music. Not many festivals would mix the likes of Swamp Dogg, Graindelavoix, Beverly Glenn-Copeland, Kadri Gopalnath, and Cüneyt Sepetçi in with more standard fare, and yet it works, and has become something of a calling card for the event. As to who I’m really excited to see? There’s almost too much. I’ve heard big things about Black Midi, so they’re on my list, as are Sons Of Kemet as I’ve yet to see them live. I can’t wait to see how Circuit des Yeux’s Reaching For Indigo will translate live with an eight-piece ensemble orchestra, and Colin Stetson performing in Janskerk should be very special indeed. LYZZA at 1.30am on the Thursday will be mental too, while at the opposite end of the scale Hilary Woods’ haunting, atmospheric tracks from Colt are perfectly suited to the Kikker Theater. There’s really so many it can be hard to pick your way through each night, and the temptation is to catch half of nine or ten sets as opposed to watching four or five from start to finish. I’ve never managed to get this balance right in previous years, and will no doubt spend a lot of time running around Tivoli trying to take in as much as is humanly possible. You have much more intimate knowledge of the lineup than me, so what’s on your list? Well, before I try to cherry pick some of the artists on my radar, let me zero in on what you said about running around frantically to see as much as possible. Personally, at Le Guess Who? I too feel that’s a bit of a no-go. Yes, seeing so much cutting-edge music plastered together on the poster can feel a bit overwhelming, but I liken the Le Guess Who? program to The Netherlands’ countless cycling routes. All put together, the total sum of cycling routes is over 32,000 kilometres long, which is insane when you consider how small The Netherlands is. It’s an impossible task to ride this entire distance in one go, although I’m sure some daredevils have tried. It’s more about choosing the route you like the most and just enjoying that little ride, and all the scenery that comes your way. When I just carve out my route and enjoy the moment organically, instead of worrying what other paths I could take, it greatly enhances my experience each year. Or, maybe I just thought of this metaphor because one half of the festival’s founders, Johan Gijsen, is an avid cyclist himself. As for the line-up, the first person that comes to mind is Moor Mother. Camae Ayewa is one of the most important artists in the world, in my opinion, someone who amalgamates sound and performance with sci-fi quantum theories and punk rock activism in ways no one has been able to replicate. She will perform with 700 Bliss, her experimental hip-hop duo with DJ Haram. And, of course, Irreversible Entanglements, who I’ve already seen at Rewire. But I will catch them again, as it was one of the most intense and cathartic performances I’ve witnessed in my life. Punk isn’t dead, it’s just taken over the host body of jazz now, and Moor Mother is one of those figures who can reconcile poetry with improvisational music in such an arresting immersive way, it feels entirely new. Everything she is involved with just captures this crazy zeitgeist so well. Her curated program is full of likewise artists that incite that kind of full immersion. Islam Chipsy & EEK is one of my favourite live bands in the world, it’s just a complete frenzy, through and through. A non-stop aural barrage of Chipsy’s idiosyncratic keyboard playing and that mighty tandem of drummers, a powerful penetrative force that just builds and builds like a locomotive engine. Fun little fact: Moor Mother was present at Chipsy’s very first Dutch show in WORM, during Afrofuturism NOW Festival, so it’s satisfying to see that coming full circle. At that same event, Moor Mother performed with King Britt, who she’s now pegged to do a live performance with none other than Saul Williams. It’s anybody’s guess how that will pan out. I guess part of the problem is that I’m not a fan of making festival “schedules” - I prefer to go with the flow and leave some room for spontaneity. Ultimately, having so much quality to choose from is a nice problem to have. I do hope to catch Islam Chipsy too - I saw them perform here two years ago and was blown away by their joy and madness. It was one of the most life-affirming, fun sets I’ve ever seen. Moor Mother is another good call; I missed her set last year, but I’m very excited to see her perform. Something else that’s brave and visionary is having someone like her be one of the curators. It’s not just a fantastic idea to have various artists “curate” part of the lineup - allowing the artists themselves to dictate who else deserves a platform is incredibly egalitarian - but the ones that Le Guess Who? have asked are special in their own right, and they’ve come up with very diverse and eclectic choices. Part of the fun in looking at the lineup is to see exactly who has been invited by whom - Shabaka Hutchings’ selections in particular look amazing. Logistically, I can imagine it’s a bit difficult delegating part of your artist invites like this, but the festival ends up all the richer for it. I’ve also noticed a deliberate shift in the lineups over the last few years, away from the mainstream as it were. A few years ago the likes of Wilco and St. Vincent were some of the big names, but artists like them (or their 2018 equivalents) wouldn’t really fit into the festival anymore. How do you see the evolution of the festival in this sense, and where will this take it in the future? Well, I’m not so sure about that. I still believe “bigger” names like the ones you just mentioned have a place at Le Guess Who?, albeit only if they somehow fit the narrative of the festival. Someone like St. Vincent did fit the narrative when she performed back in 2014, because she is a big admirer of both Tim Hecker and Selda. Plus, she collaborated with Swans that year, and they were curating part of the line-up that particular edition. But the priority for Le Guess Who? indeed lies in following a story – a specific thread – rather than just enlisting a bunch of marquee names and sitting back. There has to be some sort of in-depth dialogue between curator, festival, and audience to keep all that creative energy fertile. Though I’ve heard some mild critique in the past of Le Guess Who?’s tendency to often invite recurring artists – for example, Ryley Walker, Bo Ningen, Jacco Gardner, Circuit des Yeux, and the aforementioned Jerusalem In My Heart – it makes a lot of sense when you think about it, in terms of continuing a particular narrative. By comparison, when you watch a thrilling series on Netflix, you want to see for yourself where the plot eventually takes you. In the case of Le Guess Who?, these artists don’t just buy into that pioneering mentality, they each individually push their work to unknown pastures at a prolific pace, serving as conduits for the festival to dig deeper and deeper as well. It becomes a very, as you said, egalitarian relationship between all parties involved. It’s precisely the reason why someone contemporary like Perfume Genius was able to help facilitate a rare performance by Mary-Margaret O’Hara last year. And this year Shabaka Hutchings has enlisted Kadri Gopalnath to perform an exclusive European show; he’s a pioneer of Indian Carnatic music and translating the sonic properties of the saxophone to a whole different type of musical dogma. It’s pretty mind-blowing, and again, the type of singular voice who hasn’t been introduced yet to a broader audience. And thus, each year, Le Guess Who? is marked by a handful of these artists that push the narrative further and further. But then where are these “bigger” names? This is not a criticism, I just think it’s an interesting development, and seems to be very deliberate on the part of the festival. I also think it’s very brave to move in this direction and expect the audience to just follow along - I’m a big believer in having something for the casual music fan too, you know? That dialogue you speak of can get too deep, or too esoteric - too clever for its own good. Speaking from my own perspective, even though I work with and listen to music almost every single day, I feel like I need to do about three days research to properly get to grips with the outer reaches of the program - that can’t be good. I thought that last year some of the sets were bordering on being too conceptual, and I stand by that - when people start playing the drums with their shoe, as Han Bennink did, things have gone too far. I’m all for boundary-pushing and the avant-garde, but there has to be an entertainment value too, at least for me. And I don’t wish to sound harsh - I absolutely adore the festival, and have been telling anyone who’ll listen for years how good it is - but it’s at its best when all of these things are blended together and the full musical spectrum is represented. For example, I’d have thought someone like Mitski would be absolutely perfect for this year. Ditto Janelle Monae. And Young Fathers. And just imagine David Byrne doing his Utopia show in the Grote Zaal! Maybe they were all unavailable, or technical requirements couldn’t be met - I have no idea. Point is, focussing on the concept to the detriment of everything else is not the way to go in my humble opinion, and I think Le Guess Who? is approaching that limit. It is indeed a very understandable quandary you’re addressing, Derek; to give the more casual fans something to sink their teeth in. I do agree, but only to a certain extent. There are plenty of festivals who bank on well-known names, and in some ways, that makes it harder to stand out. Sure, you can go down a similar route as Meltdown Festival, but there’s hardly any point in marquee names inviting other marquee names. What if The Cure was asked to curate for Le Guess Who? instead of Meltdown? Programming other arena-sized bands like Nine Inch Nails would not only be very expensive but also super redundant, because Trent doesn’t exactly need The Cure to reach a new audience. Whereas an artist like Hilary Woods would benefit immensely. Le Guess Who? builds its program with the unwavering belief that even the more obscure music can be enjoyed in a broader spectrum, beyond just the die-hard niche audiences. It may be a losing battle most of the time, but it’s definitely one worth undertaking. Over the past few years, the festival has worked hard to straddle this, admittedly, very ambitious goal. But you are right: even Le Guess Who? still needs the foundation of more prominent names. This year, Neneh Cherry, The Breeders, Mudhoney, and curator Devendra Banhart are more or less pegged as this year’s headliners; though all equally enthralling, among the four of them, ‘Cannonball’ is probably the only truly anthemic track. It’s a genuine pitfall, as you mentioned, that a festival can become too ‘esoteric’ for its own good. But I think, generally speaking, Le Guess Who? does a better job reaching out to communities than most ‘niche’ festivals; All Tomorrow’s Parties failed because it was in Minehead, so it withered away in its own cult of personality. Le Guess Who?’s infusion with the city of Utrecht is key to keeping its lofty aspirations afloat. The festival’s organization has set up school programs and satellite festivals such as Lombok Festival and Le Mini Who? that highlight specific areas, communities, and causes. I think they understand that, for people to get fully immersed in the festival, they need to be given the opportunity to participate in it on their own terms. Like you, I’d love to see a David Byrne, Mitski or Janelle Monae performing in the (near) future. And without question, they’d all fit in seamlessly. Heck, someone like SZA headlining would be downright amazing. But as time will usually tell, this year alone, there are plenty of artists who can potentially become the next wave of pop pioneers. I think Tirzah’s Devotion, though malformed and dissonant in its aural makeup, is a genuinely great pop record, one of the finest albums of the year. Artists like serpentwithfeet, GAIKA, and Yves Tumor have an immediacy and charisma about them too that even casual listeners can (hopefully) appreciate. Heck, I would even go as far as to say that this year’s line-up is probably one of the more accessible ones in recent memory, in terms of stylistics. But, yeah, at the same time, it’s also the most experimental. The past few Le Guess Who? editions seem to sprawl further and further between both sides of that coin. Which again brings us back to the original point: within its immense scope, you have the freedom to carve out your own experience from within. Those are all very valid points. As I said, I’m not criticising, just thinking out loud about some of the wider aims and thoughts behind the festival’s approach. As you say, it’s become synonymous with Utrecht, and one of the most impressive aspects is its commitment to local communities. Last year, the press were taken along to the Lombok Festival on the Friday - it was incredible - and every year Le Mini Who never fails to impress. It’s a bit sad that this year, due to numbers, they had to take it away from small shops and bars and whatnot and give it its own venue, but there’ll no doubt be plenty of hidden gems to discover. I’m genuinely excited about this year’s event, and I’m sure I’ll be blown away by many of the performances. I’ve always come away from Le Guess Who? thinking I’ve learned something as well as being entertained, and there aren’t many festivals that can do that. Le Guess Who? really is blazing a trail and proving that an event based on inclusivity and diversity can succeed; we’re lucky to have it on our doorsteps, and it really is a beacon for what a properly modern music event can (and should) be. Le Guess Who? takes place in Utrecht, The Netherlands, from the 8-11 November. For more information about the festival, including the full lineup and where to buy tickets, please visit their official website.